We are Defenders of The Night. Welcome to the group there will be lots of stuff to here there will be contests. 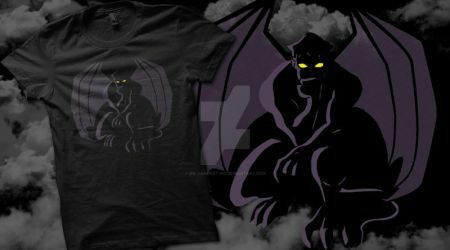 We are Defenders Of The Night...WE ARE GARGOYLES!!! Genoby and Oberon's fist Clashes and make a Huge shockwave inside the bedroom, David Held his wife Fox just to protect her and baby from the Shockwave. Genoby notice that and reply "Hey lets take this fight outside and nobody won't get hurt!" said Genoby, Oberon nods to his response "I agree" said Oberon. Genoby then smirked "But First" said Genoby as makes a blue Portal and in blink of the eye he as Alex in his arms. everyone is shocked of his speed *H-How?!! I did not even see him, his speed is amazing! * Oberon's Thoughts, Genoby flips a Bird at Oberon and jumps backwards into the portal. 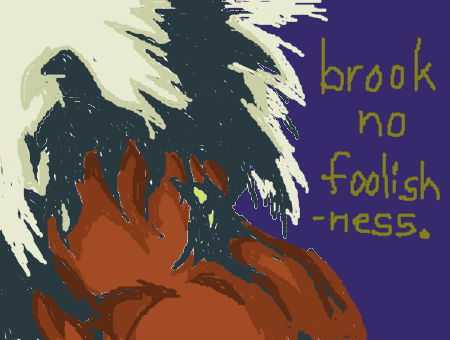 Oberon was about to get in the portal but it closes on him, He Roars in rage and flew out the building. "where is he taking Alex to?" said Fox and David reply "Maybe somewhere to hide from Oberon, I hope he find a good hiding spot" said David. Jackal gets on knocking The door angrily "come on Brat! open the door!" said Jackal while knocking on door, Dingo stays silent while Jackal is knocking the door till Toby open the door "what do you want?" said Toby and Jackal reply "hey kid, Listen there was a mistake. here is your pizza so how about we trade?" said Jackal. "Okay Give me the pizza first and I will go get it" said Toby as Jackal passes the pizza to Toby and Toby closes the door, "see Dingo, You gotta play cool to get what you want" said Jackal with evil smile. then they hear a click nose from the door "aaaaand he locked The door" said Dingo, Jackal's eye twitches in anger and start to yell but Dingo takes out a beeper button from his pocket and censored his swearing words "YOU LITTLE (BEEP)!!! I WILL (BEEP) KILL YOU!!! I WILL TEAR YOU A NEW (BEEP)HOLE!!!" as jackal keeps on punching the door while swearing at top of his lungs and Dingo presses the beeper button. The Clan and John silver are going out for movie night to see 2 hour movie, John silver told Emily and Toby "Now Lad and Emily, in case you two get hungry I put 17$ on table so you all can buy pizza with Pepsi" said John silver. "I still don't know why we can't go with ya guys?" said Toby, "its a parents night only and best of all its only night to take a break from ya Kiddos" said John silver with smirk. "well that's not fair" said Toby and John silver reply "well Lad, when you and Emily have kids on your own. then you will know what its like to earn a night out" said John silver, "ya right, like that will never happened" said Toby.Demona came into the room and gives him the phone number "In case of anything goes wrong to night, call me on my flip cell phone" said Demona, "Okay Mom" said Toby as Demona hugged him "now be a good boy while i'm gone" said Demona with smile as Toby sighs "fine mom" said Toby. Emily is at Central Park to meet up her friend Toby so they can start to hang out but he is running late, what could keep him late?. Toby finally arrive but he can barley walk in snow and he is all covered from head to toe with winter clothing, only Emily can see his eyes because his hat and Scarf is coving his head and face. Toby said something but she could not understand him what is he saying "what did you say Toby?" said confused Emily as Toby lowers the scarf and reply "Laugh at me or call me stay puff marshmallow man, I will never speak to you till my grave" Toby with anger in his tone, Emily is confused and feeling hurt by his tone but Toby sighs "I'm sorry Emily, I'm Angry at My Mom for this" said Toby. "why?" said Emily as Toby tells her story "she is so overprotective of me, so here how it happens" said Toby as Emily listens to his story. 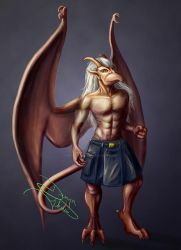 Yes, Gargoyles Podcast #2 is online and available ! Who shall be my successor?! Who is willing to sit upon my throne As I am leaving this lovely group I started way back. That is all. Did ya try the upper left corner? Then ya gotta go to a desktop. And click join group and you should be all set. Hit the join button, dude! can i join? I made my pony into a Gargoyle recently! This is a gentle reminder that you need to get your Contest submission folder up, if you haven't already I'm working on my submission! Yay! Right on, but We're on a tightrope here, We have none to little donations for prizes. 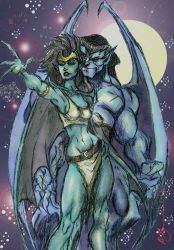 Just a heads up, a petition's just started up; to encourage Walt Disney to continue the Gargoyles series past volume three. I't be appreciated if you could pass it along. What?! He is not dead. Where did you get that from? I thought he was dead? He's still kickin'?